I believe that I’ve lost the right to claim the title as most prolific Civil War historian working today. My friend Scott Mingus now gets to claim that title. 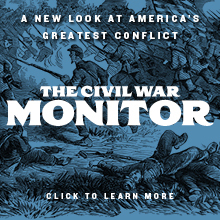 Scott has published five books on the Civil War since 2007, and his sixth book is due out this fall. That’s really a remarkable track record and some really remarkable productivity. Scott’s next book looks particularly interesting, as it provides in-depth coverage of the role of one the best-known Confederate units in the Gettysburg Campaign. The book is titled The Louisiana Tigers in the Gettysburg Campaign, June-July 1863 , and will be published by the Louisiana State University Press in October. Amazon.com is currently offering a 30% pre-order discount, so, if it’s of interest, you might want to avail yourselves of the substantial savings being offered. Good luck with it, Scott–and keep up the good work. 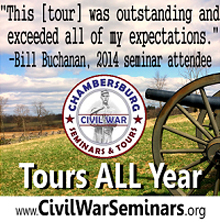 A careful study of the celebrated brigade before, during, and after the Battle of Gettysburg. Previous works on Confederate brigadier general Harry T. Haysâ€™s First Louisiana Brigadeâ€”better known as the â€œLouisiana Tigersâ€â€”have either only touched upon the brigade during the course of the American Civil War, focused on its leaders or individual regiments throughout the war, or have dealt with just one day of the Tigersâ€™ service at Gettysburg, specifically their role in defending East Cemetery Hill on July 2, 1863. 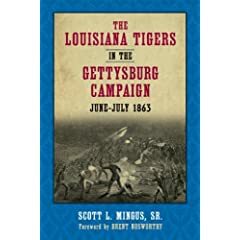 In this commanding study, Scott L. Mingus, Sr., offers the first significant detailed exploration of the Louisiana Tigers during the entirety of the 1863 Gettysburg Campaign. Mingus begins by providing a sweeping history of the Louisiana Tigers; their predecessor, Wheatâ€™s Tigers; the organizational structure and leadership of the brigade in 1863, and the personnel that made up its ranks. Covering the Tigersâ€™ movements and battle actions in depth, he then turns to the brigadeâ€™s march into the Shenandoah Valley and the Tigersâ€™ key role in defeating the Federal army at the Second Battle of Winchester. Combining soldiersâ€™ reminiscences with contemporary civilian accounts, Mingus breaks new ground by detailing the Tigersâ€™ march into Pennsylvania, their first trip to Gettysburg in the week before the battle, their two-day occupation of York, Pennsylvania—the largest northern town to fall to the Confederate army—and their march back to Gettysburg. 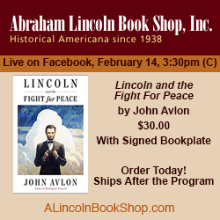 He offers the first full-scale discussion of the Tigersâ€™ interaction with the local population during their invasion of Pennsylvania and includes detailed accounts of the citizensâ€™ reactions to the Tigers—many not published since appearing in local newspapers over a century ago. Mingus explores the Tigersâ€™ actions on the first two days of the Battle of Gettysburg and meticulously recounts their famed assault on East Cemetery Hill, one of the pivotal moments of the battle. He closes with the Tigersâ€™ withdrawal from Gettysburg and their retreat into Virginia. Appendices include an order of battle for East Cemetery Hill, a recap of the weather during the entire Gettysburg Campaign, a day-by-day chronology of the Tigersâ€™ movements and campsites, and the text of the official reports from General Hays for Second Winchester and Gettysburg. Comprehensive and engaging, Mingusâ€™s exhaustive work constitutes the definitive account of General Haysâ€™s remarkable brigade during the critical summer of 1863. Scott L. Mingus has written numerous books on the Civil War, including the three volume Human Interest Stories of the Gettysburg Campaign, and Flames beyond Gettysburg: The Gordon Expedition, June 1863. He lives near York, Pennsylvania.